One of the main questions people ask when adopting a mixed-breed puppy is, "How big will my puppy grow up to be?" To help answer this question we’ve developed a proprietary algorithm that uses the breeds identified on each chromosome to predict the likely size range a puppy will develop into when fully mature. This prediction is designed to estimate the weight range at an ideal Body Condition Score (see below). Of course the actual mature weight of a dog can be influenced by many factors outside just genetics. Weight can also fluctuate over time due to variation in a dog’s health status, nutritional and exercise regimens. Data courtesy of BANFIELD® Pet Hospital. A Body Condition Score is an essential mediator of the weight a dog will eventually reach. A dog’s score is a reflection of the amount of muscle build and fat deposition around its skeletal frame. Significant excess or deficiency of these core body tissues can cause two dogs of the same breed with similar size dimensions and build to differ significantly in weight. Additionally, nutritional variations during key developmental stages can have an impact on a dog’s ultimate body size and weight. The published weight ranges of more than 200 purebred dog breeds. The observed weights of purebred dogs, each with an ideal Body Condition Score, from the Banfield® Pet Hospital database. 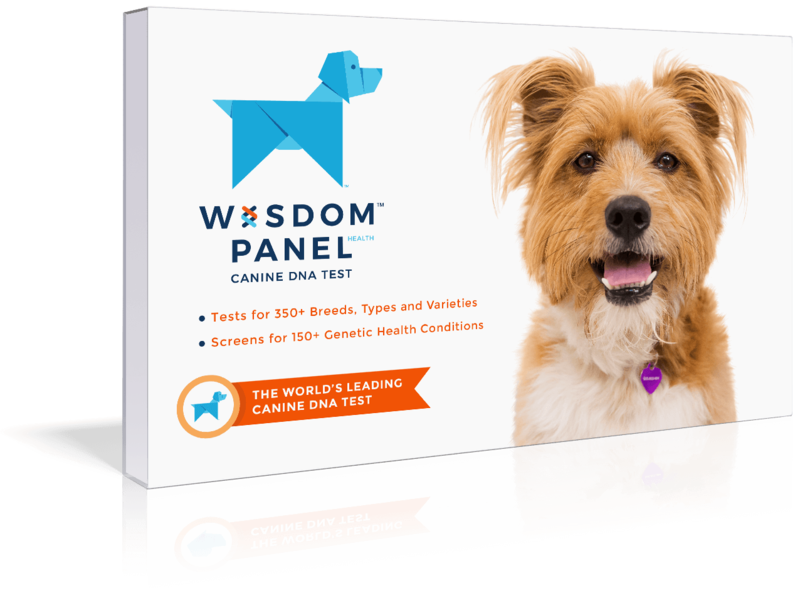 Dog breeds identified by WISDOM PANELTM that reflects a dog's true heritage and genetic complexity. A genetic algorithm developed and optimized using observed mixed-breed dog data that serves to weight the real contribution of each set of chromosomal genetic markers to the final predicted weight of an adult dog.